OK! Magazine is the world’s biggest weekly celebrity magazine. Each issue is filled with celebrity photographs, interviews, close-up views inside their homes, on their vacations, and all the details of their daily lives. 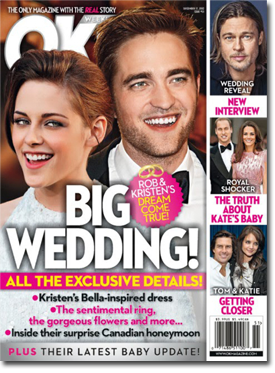 Get the latest scoop on celebrity hook-ups, break-ups, weddings, babies, diet, fashion and more! No magazine subscription gives you a more in-depth look into celebrity lives every week. Grab Your Bargain OK! Magazine Subscription Today!